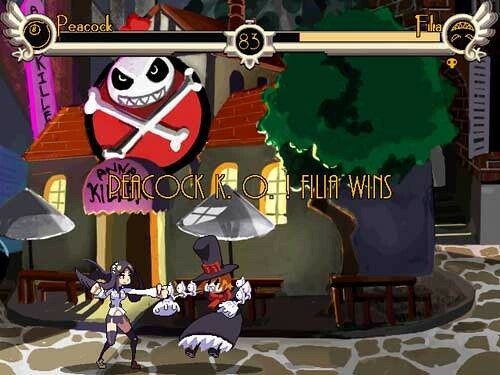 As you may or may not know, Skullgirls has been around for quite some time. Before Reverge Labs and Autumn Games got involved, Alex was developing it as a doujin game. Silicon Era’s unearthed screens from an ancient 2006 demo, and the difference is… pretty striking! Embedded within is a link to an old interview with Alex, too – “dreaming of making a game,” indeed. Alex has come a long way both artistically and actually since then. You can read that interview, here. I remember that demo! I’ve never gotten a chance to play it! It would be awesome if you guys posted it up for nostalgia’s sake and to show just how far you’ve come. that’ funny because I was looking on google a while back when i type skullgirls demo and that pop up. that just goes to show how much time and dedication was put into this game.